Please join POP in celebrating 10 years of planting community orchards in the city! Thank you for your support of our vision of a more beautiful and bountiful Philadelphia. 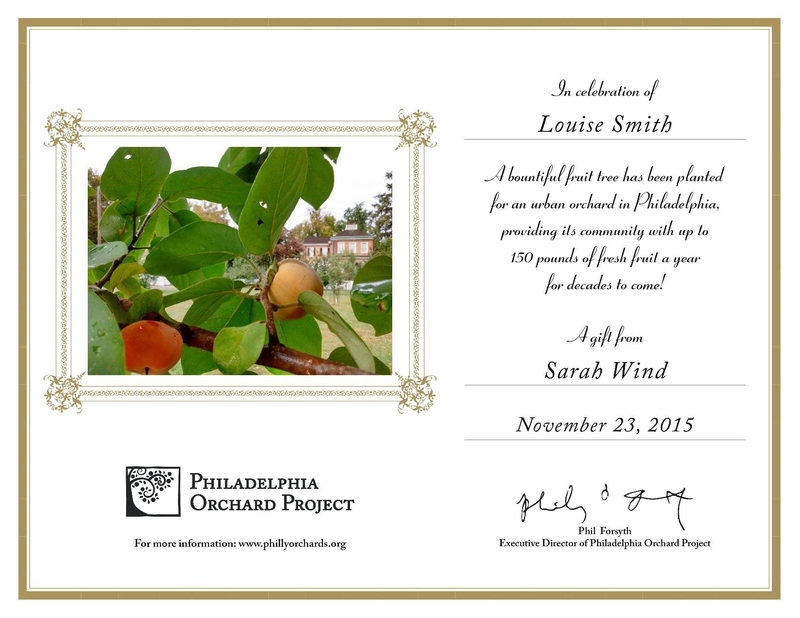 Planted our 1,141th fruit tree and supported our 57th community orchard site! We hope you will take a few minutes to read below about some of the interesting people and stories we encountered along the way. POP’s programs run all year! 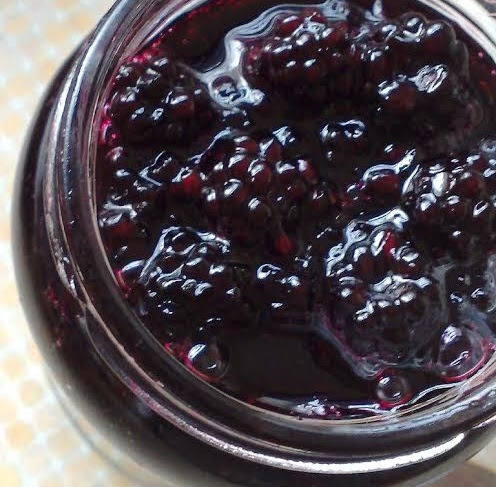 Join us for our Jam-making workshop at Greensgrow this Saturday, 8/12 or check out our website for a variety of upcoming orchard work days at sites across the city. POP is Celebrating its 10 Year Anniversary! Can you believe it? 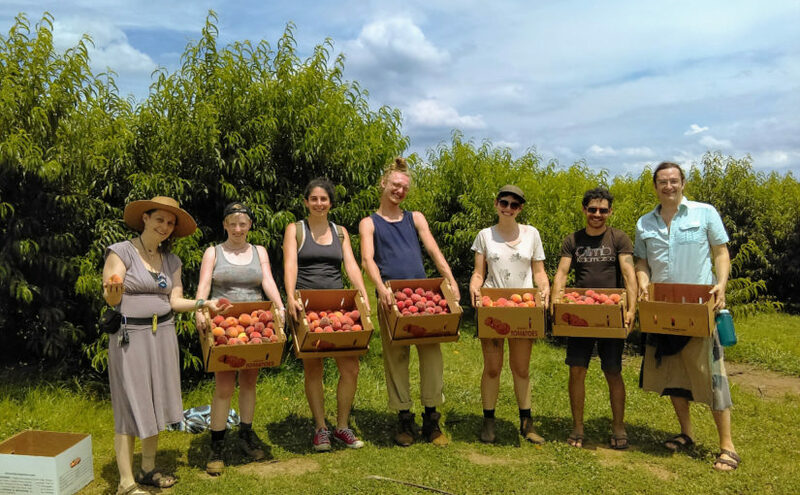 These last 10 years have been filled with new orchard plantings, collaborations, community gatherings, harvest festivals, fruit picking, and so much more! We are so excited to celebrate these last 10 years with our POP community and hope you will join us on Sunday, September 10th for POP’s 10th Anniversary Celebration! 10 years, 57 community orchards, and still growing. If you can’t make it, please consider supporting our next ten years with a donation. Orchard Plantings. POP’s core work of planting and supporting community orchards in the city continues to grow, and we are now working with 57 different orchard sites in neighborhoods across the city! 209 volunteers joined with us and our partners at 10 orchard planting events this spring. Brand new orchards were planted with Pastorius Community Gardens in Germantown; St Bernard Community Garden in West Philly; and Tilden Middle School and Bartram High School in Southwest Philly. 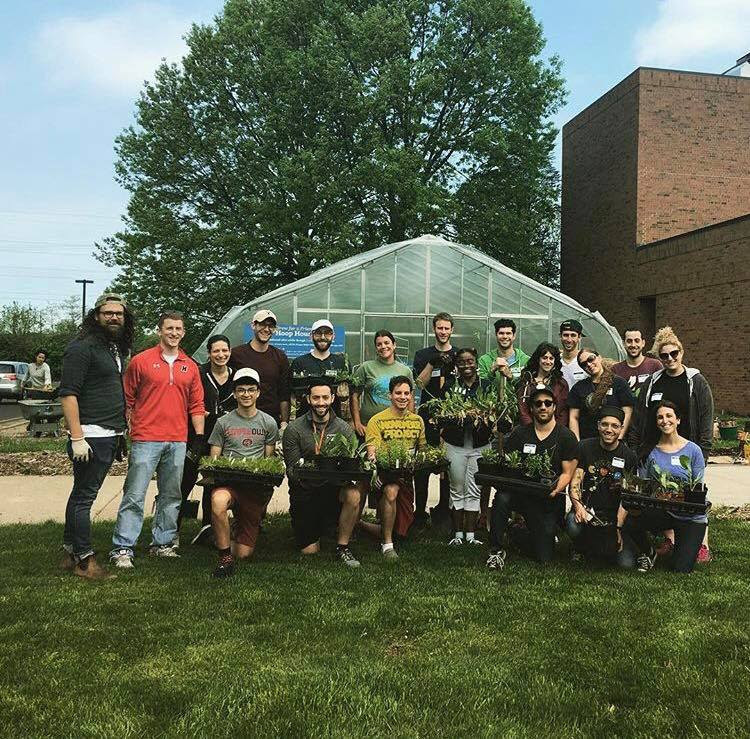 We also expanded existing orchard sites at Kleinlife, Lea Elementary, Philadelphia Ronald McDonald House, Overbrook School for the Blind, PhillyEarth @ the Village of Arts & Humanities, and Penn Park. To read more about all our orchard partners and view a map of POP sites: phillyorchards.org/orchards. Expansion planting at KleinLife in spring 2017. Harvest, Gleaning & Preservation. In April, Robyn had the opportunity to present and participate in the first ever International Gleaners Symposium. The symposium was hosted in Salt Lake City by Green Urban Lunchbox, an urban agriculture and gleaning organization based there, and attended by gleaning nonprofits from all over the US and Canada. Back in Philadelphia, our POPHarvest program kicket off with our 2nd annual Juneberry Joy Campaign, where 122 pounds of juneberries were harvested by 45 volunteers for take home and partnerships with various local food businesses. 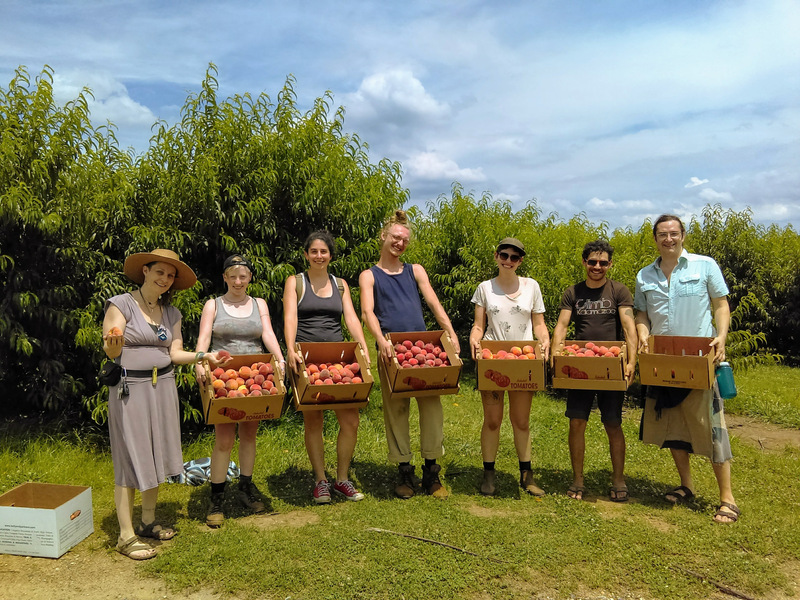 We’ve also harvested strawberries, cherries, and mulberries with various POP Partner Orchards, and we continued our relationship with Linvilla Orchards by harvesting 1,000 pounds of excess peaches and distributing them to several emergency food centers in Philadelphia. POPHarvest additionally expanded its scope to include two herb harvests from the abundant food forest-style partner orchard in Penn Park. Participants harvested roman chamomile, elderberries, anise hyssop, thyme, and oregano for spices and medicine, and sampled some of the first ripe grapes in the orchard! Stay up to date for more upcoming POPHarvest events by joining the listserv here. Orchard Education. POP continues to educate our orchard partners through diverse offerings including workshops, consulting visits, POP TIPS shared through the Philadelphia Orchard Group (PHOG), and the Philadelphia Orchard Project Blog. 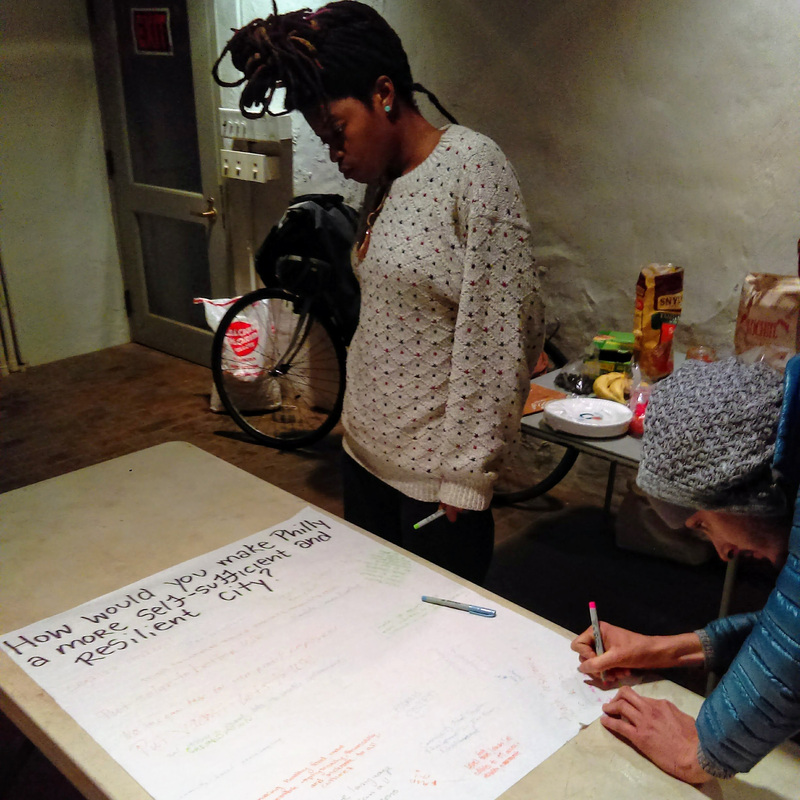 In March, POP hosted its first ever Community Orchard Resilience Education course (POPCORE) to more comprehensively train orchardists throughout the city to care for their spaces long into the future. This 4-part course includes (1) “Pruning and Orchard Care Through The Seasons”, (2) “Eco-Orchard Pest and Disease Management”, (3) “Orchard Plants and Fungi”, and (4) “Introduction to Permaculture Design”. 33 students took at least one class and 8 complete the whole course! Moving forward, we plan to teach one class every 3 months and teach the whole course every March. Though educating our partners and volunteers is the main motivation for designing this course, all classes are open to the general public–and we never know when today’s first time student could become tomorrow’s new orchard steward! You can take one or all classes and complete the course within two years for certification. Sign up for our next POPCORE workshop to be held on September 28 and stay tuned to events listings on our website for ongoing POPCORE offerings. Students in the first POPCORE Course participate in answering big questions for group discussion. Join our next workshop on Orchard Plants & Fungi on September 28th. School Orchards update. In January 2017, POP hired two-time Education & Outreach intern Alyssa Schimmel to serve as POP’s new Education Director. In collaboration with POP’s 10 school partner sites, POP is creating orchard-based lesson plans to implement into the classroom with elementary, middle, and high school students. Pilot sites for the new program including Lea Elementary, Tilden Middle School, and the Overbrook School for the Blind. POP plans to build a network of educators throughout the city for educational resource sharing and curriculum development. Please email alyssa@phillyorchards.org if you would like to join a committee of dynamic and inspired agricultural educators. 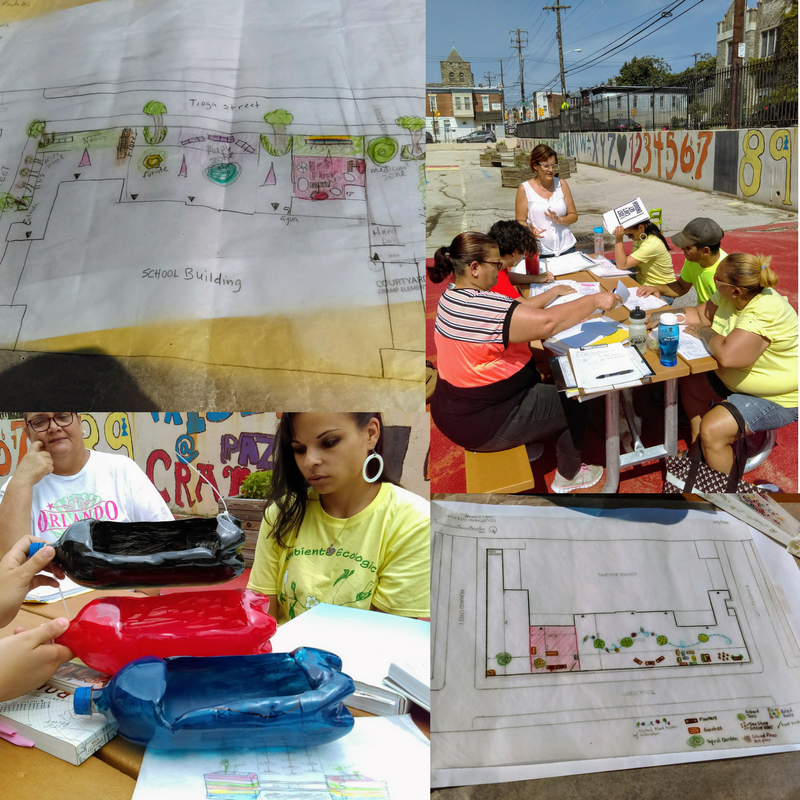 Community Design Meetings with new POP Partner Applicant, Cramp Elementary School, have been very rewarding! 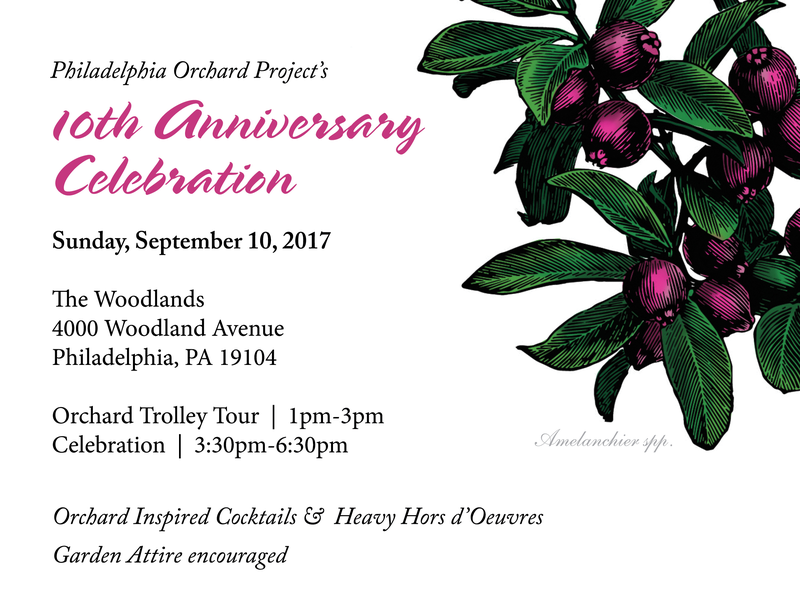 An annual tradition in its second year, Juneberry Joy is an exciting collaboration between the Philadelphia Orchard Project, volunteers, and local food artisans. 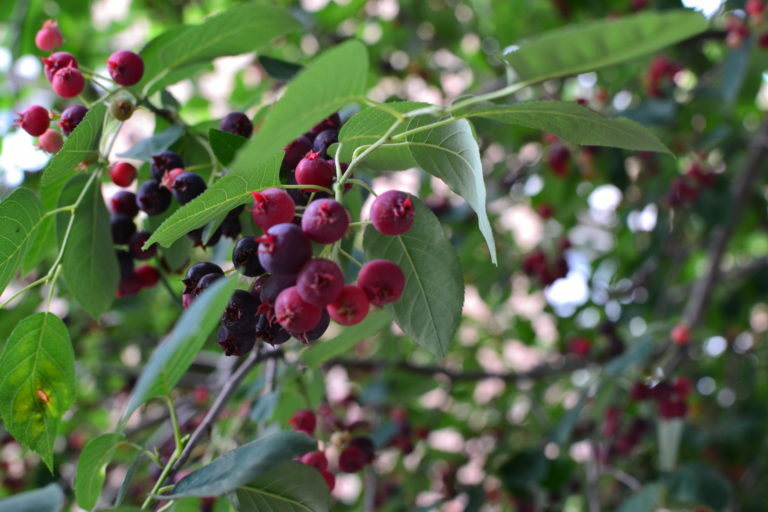 This year, POP volunteers help us harvest 119 pounds of juneberries (also known as serviceberries or saskatoons) from 9 different locations across the city. The berries were then bought by 9 different artisan partners and crafted into yummy food goods to introduce yet more folks to this abundant and delicious city fruit! Participating partners this year included Weckerly’s, Schmear It, Magpie, Fikira Bakery, Crime & Punishment, Lil Pop Shop, Martha, The Monkey & The Elephant, and Funky Fresh. A portion of the proceeds from berry and food sales is donated back to POP’s community orchard programming. 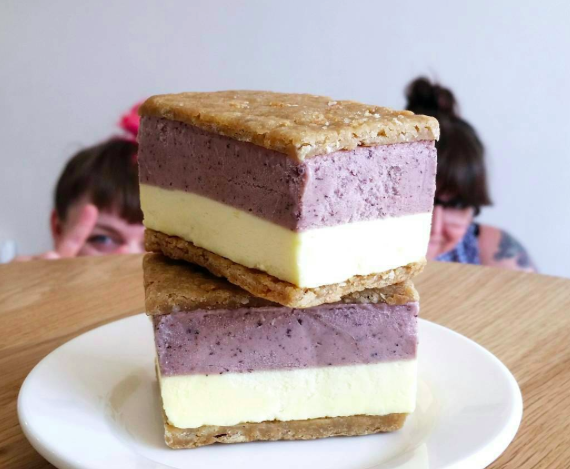 Read more about this year’s Juneberry Joy, including the delights made by our artisan partners and recipe ideas! 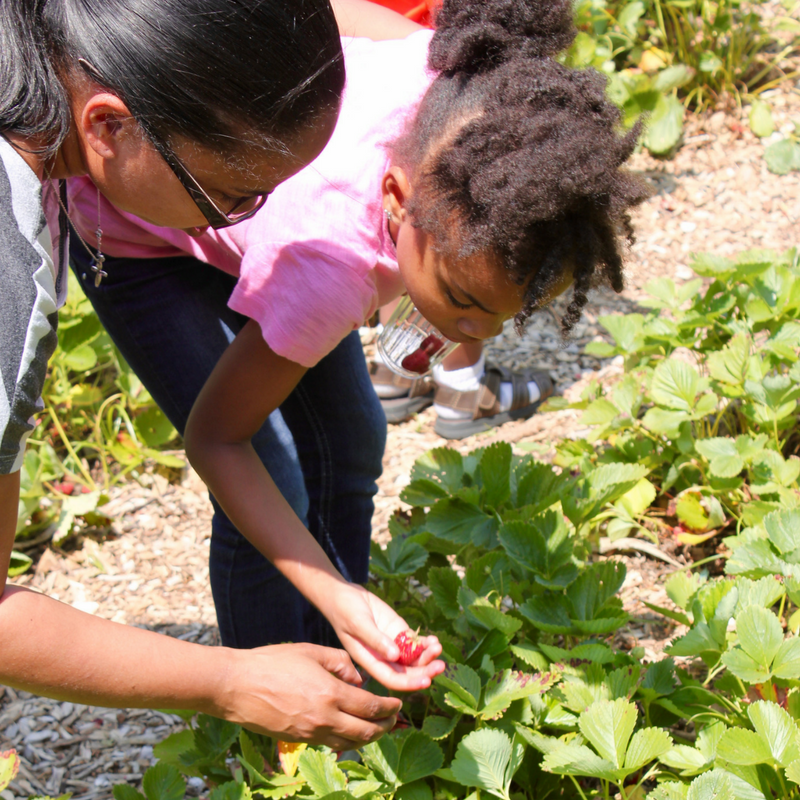 This year was our biggest Strawberry Festival ever, with over 200 participants picking fresh strawberries from the patch, getting their face painted, learning about bees, eating good food, taking a tour of the orchard and Historic Strawberry Mansion, and celebrating the successful spring planting season! Everyone left with a belly full of strawberries and had the chance to enjoy a beautiful day in this neighborhood gem! Fresh organic strawberries straight from the garden at this year’s 9th annual East Park Strawberry Fest! Read more about POP’s partnership at Tilden Middle School in our recent blog post by educator Cole Jadrosich. Thank you again to everyone who helped us during our School Orchard Program campaign this year! 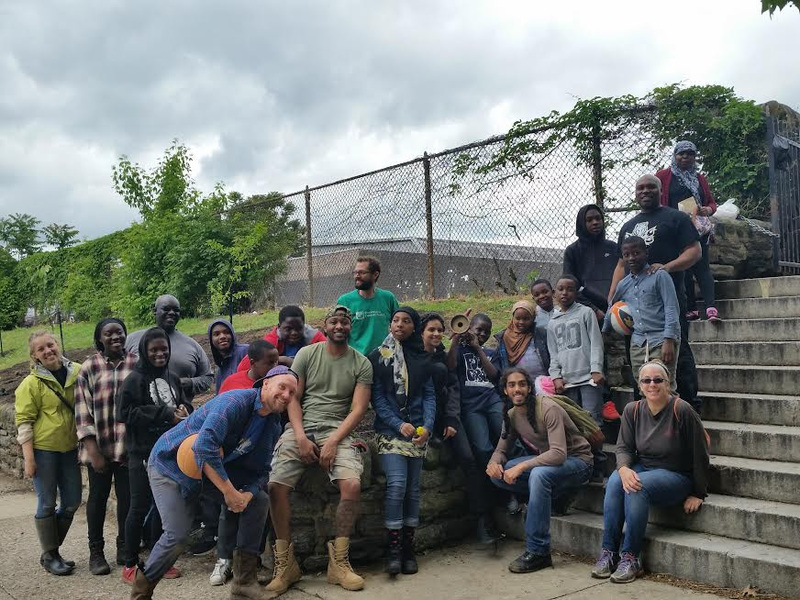 Together we were able to raise over $5,000, which supports our work in expanding opportunities for Philadelphia youth through outdoor orchard education. You can stlil contribute to this program by making a tax-deductible donation today! Your Amazon purchases can benefit POP. . . at no cost to you. POP can now accept workplace donations via United Way (#53494), Earthshare, and Benevity: ask your employer about how to set up tax-exempt contributions and matching donations to support our work. We are also now able to accept stock transfers, so you can divest. . . and then invest in planting the future with POP! We’re always looking for more good volunteers for POP’s operating committees! To help our Education Committee with developing new blog content, educational materials and curriculum, please contact Alyssa Schimmel (alyssa@phillyorchards.org). To assist our Events Committee with organizing fundraising events or helping with outreach activities, please contact Tanya Grinblat (tanya@phillyorchards.org). Experienced volunteers are invited to join POP’s Orchard Committee and work directly with our orchard partners; for more info contact Robyn Mello (robyn@phillyorchards.org). POP’s fall event season will be announced soon! To receive updates about upcoming volunteer opportunities, please sign up for our volunteer list on our website (phillyorchards.org/volunteer/signup). Plant a fruit tree in celebration of a loved one for holidays, birthdays, and other occasions! Previous Previous post: Recapping Juneberry Joy 2017!